by Jerry Peek, Mike Loukides, Tim O'Reilly, et al. This is an exclusive panel discussion with Tim O'Reilly, DJ Patill, John Mattison, and Benjamin West recorded live from Strata Rx 2012. Webcast: What is Gov 2.0? In this webcast, Tim O'Reilly and Sarah Milstein, Twitter experts and coauthors of the The Twitter Book, will show you how to use Twitter more effectively, whether you're on the site for personal socializing or to meet business goals. 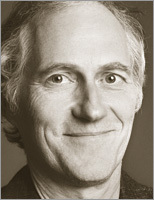 Tim O'Reilly, founder and CEO of O'Reilly Media, talks with Microsoft Technical Fellow Dave Campbell about new tools for data. "All in all, The Twitter Book is filled with information on Twitter. It's a terrific resource. I highly recommend it to everyone, whether a serious user or a Twitter newbie. Then it's up to you to decide how much you want to be involved." "No matter how well you think you understand Twitter, you should have The Twitter Book on your bookshelf. It opens your eyes to new information and is a handy reference book for things you already know. Every Twitter account should come with a copy of The Twitter Book!" "The book will appeal to anyone who has never used Twitter whilst still satisfying the long-time experienced or business user." "Whether you're new to Twitter or have been using it for a while, you will definitely find useful information to help you streamline what you're doing and increase your reach. The book is very easy to follow even for those of use who are not technical gurus. The book walks you through Twitter from the very basic new user to a more advanced business user. You need this resource!" "...one of the best instructional paperbacks on the market to get you up and running... They are patient, friendly, witty and utterly knowledgeable. Youll be tweeting and retweeting in no time." "It's easy to understand, provides lots of examples, and clears up the jargon which surrounds twitter. If you're a late adopter, unsure of web 2.0 technology, this book is for you." "If you're interested in social networking for personal, blog or business use, I highly recommend this book. If you just want to understand the Tweeting hype, I highly recommend this book. And if you want to know how those blasted hashtags come into play, I definitely recommend this book. :)"
"...appropriate for those you're trying to convince that Twitter is all the rage. The book reads like a beginner's how-to guide, which means you could even use it as a subtle way to encourage less than stellar Twitter users to improve their Twittering ways." "This is one of the better books Ive read this year, and its absolutely worth adding to your shelf." "O'Reilly's practical, easy-to-follow, user-friendly guide, filled with colorful, informative insets makes a novice user into an expert within a short period. Or as Tony Hsieh, CEO, Zappos writes, "...O'Reilly has put together a great, comprehensive primer. If you're ready to dive into the world of Twitter, I highly recommend this book!" And so do I." "Brilliant! Buy it! You'll use it immediately. Its is an absolute corker, as we say here in these southern parts, meaning that its the dogs (Londoners will know what I mean). You could also take it to mean that you would be a mug (or muggins) to not pick up a copy. You will learn something immediately from it, just by flicking through its pages while you are waiting at the checkout..."
"...if you are looking for a brief fiction break, or need a new handbook for your maximizing your Twitter tweets, definitely check this book out! " "Suffice to say that any detail you need to know is available in this handy, easy to use reference...Id recommend this book to anyone hesitant to try Twitter because it seems overwhelming and current tweeps who would like to pick up some tips from the pros. " "Pick up a copy if have not already. " "Every question you might have about what Twitter is and how to use it has been answered in OReilly press timely new The Twitter Book." "The best things about the book are the practical suggestions and recommendations regarding its use, for personal pleasure and communications with friends and family, and for learning how to make new friends and contacts...Overall, this was a surprisingly enjoyable reading activity." "It may not be written in 140-character chunks, but it is easy reading and manages to pack in all kinds of information of interest to Twitter virgins and aficionados alike. " "The book itself was great, and more than up to the high standards I expect from an OReilly book. It does an excellent job of detailing what Twitter is...Overall this was a great read and reading it on the iPhone turned out to be better than I had expected and would read more books this way. If youre looking to learn more about Twitter I highly recommend, and if you have an iPhone you might want to give the app version a try too." "The book is well-written and an easy read, and you'll likely find that it takes just a couple of hours to go cover to cover...a very worthwhile read, even for casual Twitterers. If you've been tweeting for awhile and scoff at the idea of a whole book being devoted to Twitter, then you are exactly the type of person to benefit the most by reading it."